It has been an exciting year in the world of property. We have been behind the scenes of many incredible homes. At the touch of a button, blinds opened and closed in one James Bond-style property. In another, the Grade-II* Listed building stood empty for years, waiting for a new owner to breathe life into the Georgian gem. 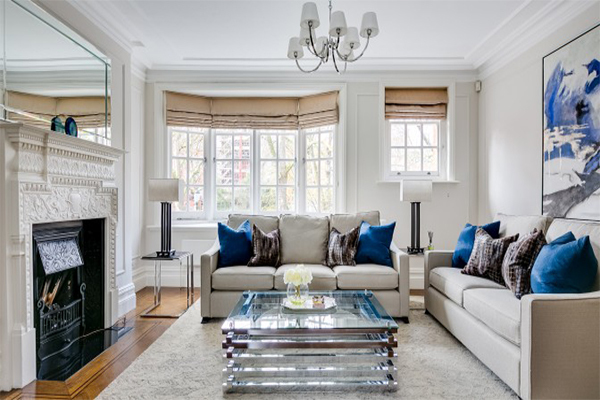 And one property was transformed into a beautiful Belgravia bolthole. Along the way, we have met interesting people, who have brought their homes to life with happy memories and inspirational stories of the past. Here the Henry & James team pick some of their favourite properties of 2017. “My favourite property that we sold in 2017 was in Hamilton Terrace. The house offered modern design hidden behind a beautiful Georgian façade. It was one of St John’s Wood’s most important properties for us to bring to the market and sell this year. “My top choice is a triple aspect penthouse on Eaton Place with an exceptional roof terrace and far-reaching views across London. The deal was so special for me as the flat had that elusive “wow factor”, but it was the people who made it special, too. Sometimes, you walk into a property and you know that you have the perfect buyer. This was one of those moments. Even more satisfyingly, the buyer was one of the most charming people that I have met. She was someone who had been looking for three years, and we found her two places to rent while she searched for the perfect property to purchase. “My favourite property sold by Henry & James in 2017 was originally a large one-bedroom flat on Pont Street with a balcony. It was converted into two bedrooms by a well-known developer in the area. The finished specification of the flat is tasteful and not the way most developers re-do properties. The property was bought by a rental investor from southeast Asia, who is now looking to invest in further properties in Knightsbridge and Belgravia through us. For the latest updates from Henry & James, follow us on Twitter, Facebook or Instagram. To view properties for sale or to let in Belgravia, Kensington and Chelsea, visit www.henryandjames.co.uk/search.